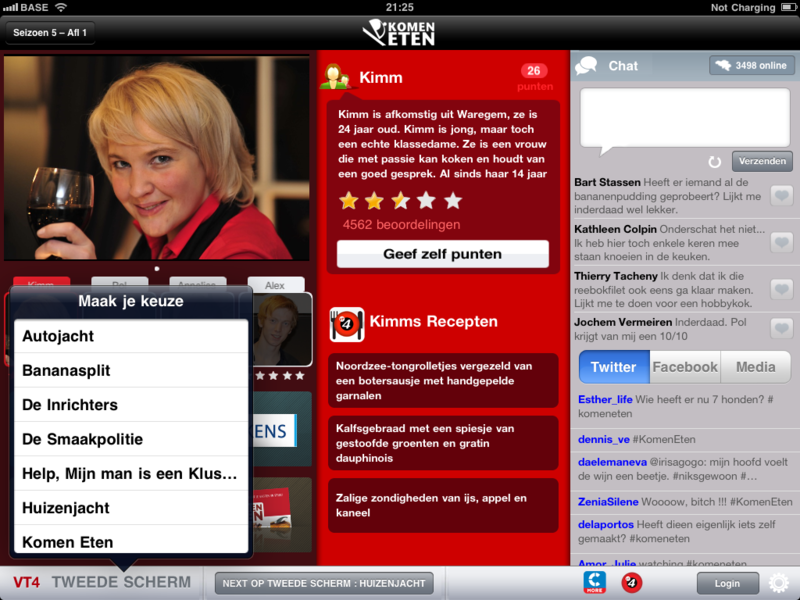 Yesterday during the presentation of the new TV season of VT4 and VijfTV, SBS Belgium showcased the ‘Tweede Scherm’ app. The application will be launched in the App store as from March. This goes together with the start of a new ‘Komen Eten’ season on VT4. SBS Belgium and MobileWeb have developed “Tweede Scherm” which offers viewers a second screen experience while watching television. This ‘Tweede Scherm’ is built around four principles. First, it gives the viewer additional background information on the programs. Secondly, they can participate. For example, they can rate the other candidates of Komen Eten with regards to food and atmosphere. 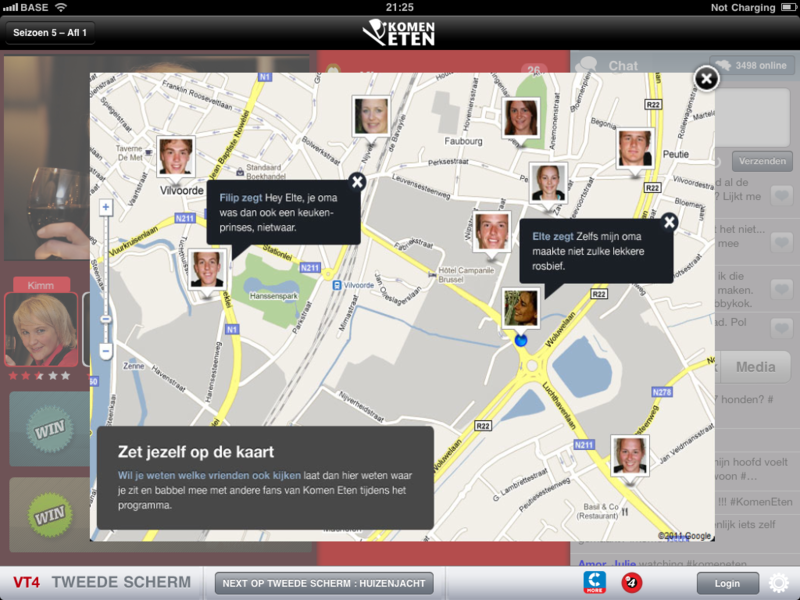 Also interaction gets a big focus in the Tweede Scherm app. People can comment and chat with each other on what they see, feel and hear. And, the twitter and facebook conversations about the format can also be followed easily. Last parameter is a naturally integrated approach of advertising, contests and sponsorships. 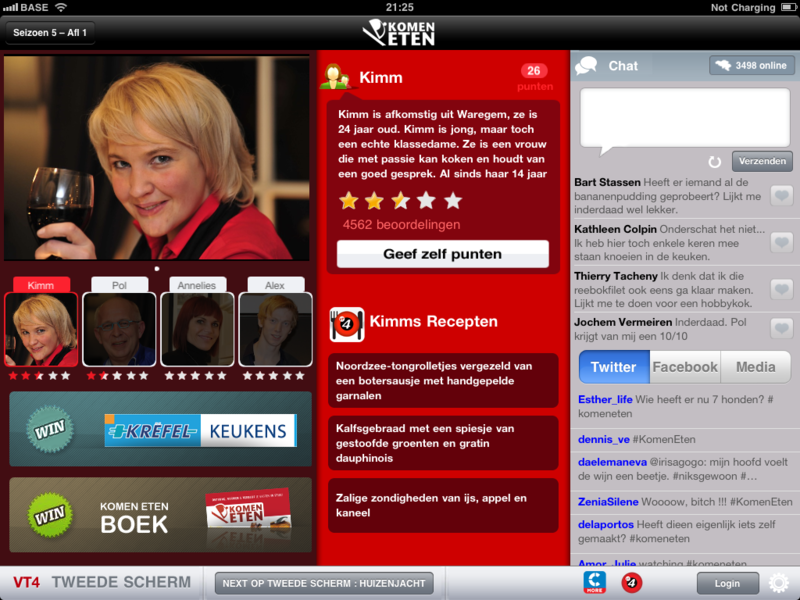 Tweede Scherm will function both for VT4 as Vijf TV. As from March available in the App Store! In the race to 10 Billion Downloads, Apple has uncovered The Top All-Time Apps. On a separate page in iTunes, the list of apps is shown by country-specific iTunes Storefront and is divided in 4 categories. The iPad app of De Standaard appears on #1 in the Category All-Time Top Paid iPad Apps in the Belgian iTunes Store. 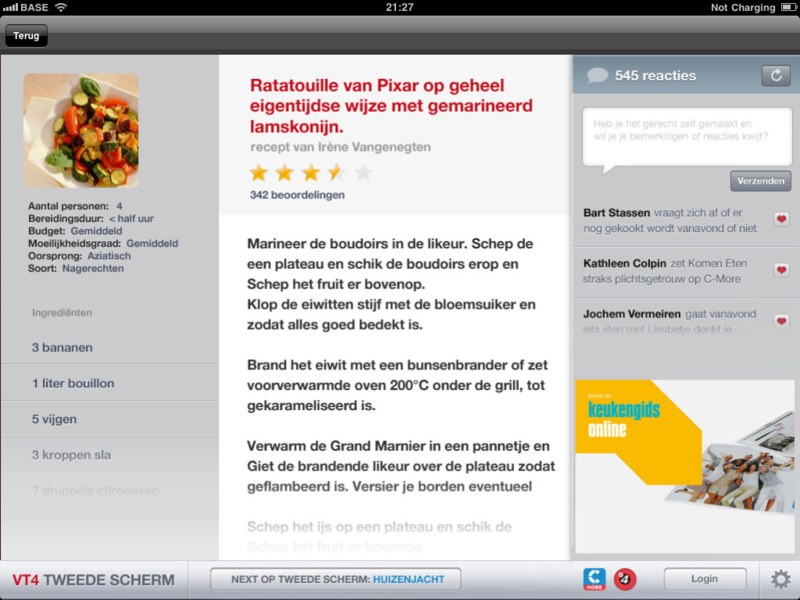 It is also the only Belgian app in the top 20.